While many high school students have their sights set on graduation and college, one senior is aiming for an additional goal: the 2020 Summer Olympics, writes Rebecca Panico for the Union News Daily. Kai Legband is working toward swimming for Bermuda in Tokyo in two years — and he may have a shot. In April, the Union High School Senior took home two Silver Medals in the 50 and 100 meter Freestyle during the CARIFTA Swimming Championships in Jamaica. Legband — who has dual citizenship through his Bermudian mother — swam in six races as part of the Bermuda team, but Freestyle sprints are his forte. He swam in March at the EZ North Speedo Short Course Championships in Ithaca and won both events. It was just one of the many competitions he swam in this year. The 17-year-old student regularly competes for Union High School and the Tidal Wave Swim Team, based at the Boys & Girls Club of Union County. He finished third in the 50 and 100 events at the NJSIAA Meet of Champions in February. 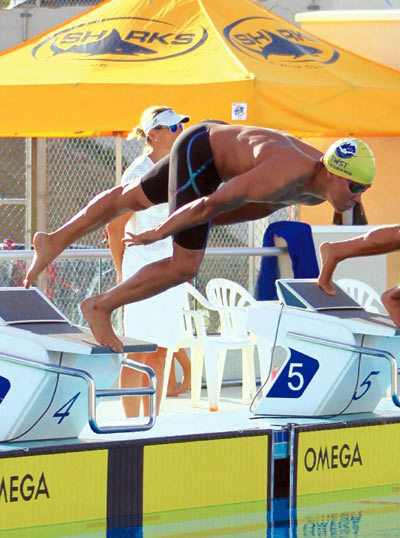 One of Legband’s future stops is the October Youth Olympics in Argentina, where he will swim for Bermuda. He’ll need to shave six-tenths of a second off his best time to meet the 51.40 qualifying standard for the 100 Freestyle.